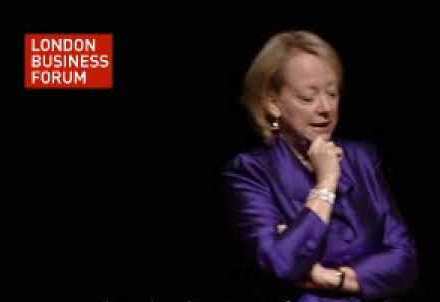 Lynda Gratton is considered one of the world’s authorities on people in organizations. A trained psychologist, she worked for British Airways for several years as an occupational psychologist. 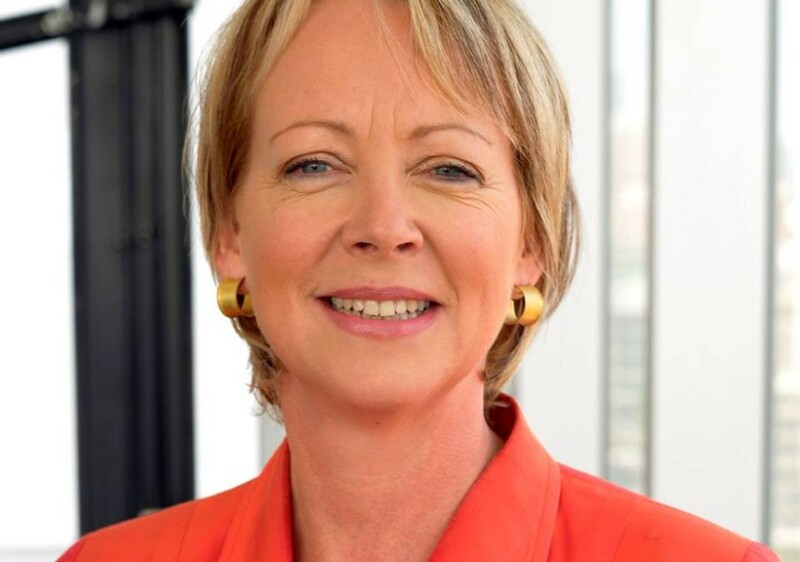 Prior to joining London Business School Lynda Gratton was director of HR strategy at PA Consulting. She serves on the board of the American HR Planning Society, and conducts CEO, CIO and HR director workshops in the UK and in the US. 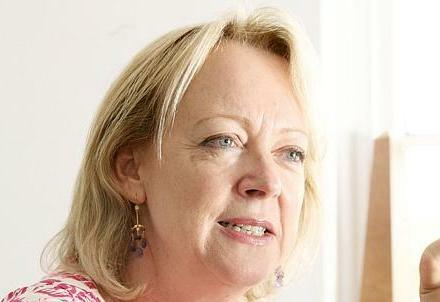 Lynda Gratton actively advises companies around the world and sits on a number of advisory boards. She sits on the Guardian Sustainable Business Awards panel, the FT Business Book of the Year panel and chairs the World Economic Forum council on the future models of leadership. 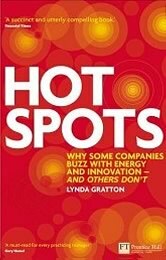 In 2006 Lynda Gratton founded the Hot Spots Movement. 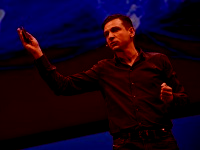 Since that time the Hot Spots Movement has become the focus of a global community of many thousands of people all of whom share a passion for bringing energy and innovation to people at work. 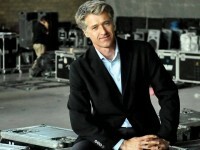 The movement has engaged with many companies including ARM, BT, Fujitsu, Generali, Philips and Unilever. Lynda is currently engaged with her colleagues on research commissioned by the Singapore Government to examine innovation and team performance across 10 companies in the country and to draw up recommendations for the government. Lynda Gratton ‘s first book Living Strategy has been translated into more than 15 languages and rated by US CEOs as one of the most important books of the year. 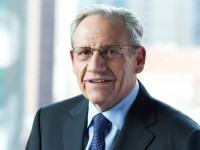 Her next book, The Democratic Enterprise, was described by Financial Times as a work of important scholarship. 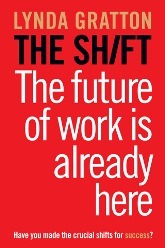 Her most recent book is The Shift: The Future of Work is Already Here – “an unhysterical look at the future of employment”. 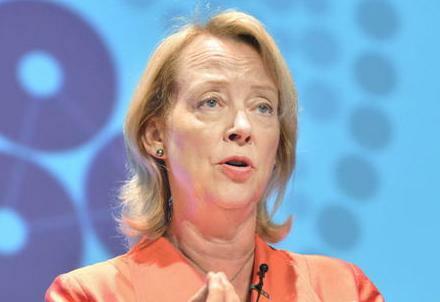 Lynda Gratton ‘s article “Integrating the Enterprise,” which examined cooperative strategies, was awarded the MIT Sloan Management Review best article of the year in 2002. 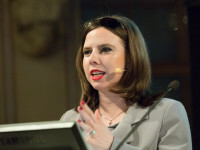 Her case study of BP’s peer assist integration practices won the 2005 ECC best strategy case of the year award. 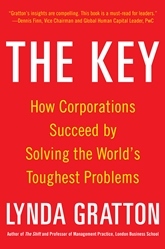 The Key - How Corporations Succeed by Solving the World's Toughest Problems. Never before have corporations been so large, so wealthy, so powerful, and so rich in human creativity and endeavor. 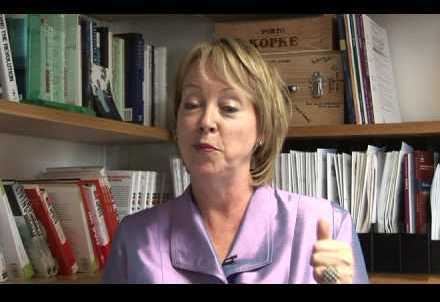 Organisational change expert Professor Lynda Gratton shows that it is now critical that these corporations step up to play a more positive role in the world by building inner resilience, actively anchoring themselves in their communities and supply chains, and leveraging their unique capabilities to address complex global challenges such as climate change and youth unemployment. In The Key, Gratton maps out how bringing resilience to a fragile world starts with what happens inside a corporation—when intelligence and wisdom are amplified, emotional vitality enhanced, and social connections harnessed. 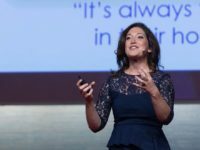 She explains how corporations can leverage this inner resilience to help solve global problems and how a corporation’s unique innovative, scaling and mobilizing, and alliance building capabilities—are some of the tools for combating global ills. Both realistic and optimistic, The Key is a practical guide that provides the rationale, strategies, and tools you need to not only spearhead resilience for your own company but also how to use this resilience to contribute to the betterment of the world. Building on her unique research base, Gratton provides insights from more than 20 companies from across the world including Vodafone, Unilever, Tata Consulting Services, and Natura to illustrate the very real benefits of aligning organizational interests with those of the world. The world’s business leaders must make a decision: Either connect your company’s interests with those of the world at large—or watch these separate interests crash into each other. You have the resources to save the world. Gratton provides The Key. Work is a defining, all-consuming part of our lives. Now, more than ever, the speed at which the nature of work is changing is having an extraordinary impact on working lives everywhere. You know them at first sight: teammates or colleagues, direct reports or bosses who radiate enthusiasm, positive energy, and inspiration. Even in difficult circumstances they glow with an attitude that inspires others, fosters a great working experience for everyone, and creates empowering relationships. And Lynda Gratton can make sure you're one of them. 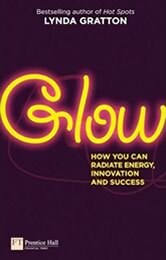 Drawing on years of original research, Gratton identifies three principles that people who glow live by, and three actions for putting each principle into practice. Lynda Gratton is one of the world's leading experts on how pockets of energy and innovation are created in organizations. Now she zeroes in on how you can become a source of energy and innovation yourself. You always know when you are in a Hot Spot. You feel energized and vibrantly alive. Your brain is buzzing with ideas, and the people around you share your joy and excitement. The energy is palpable, bright, shining. These are times when what you and others have always known becomes clearer, when adding value becomes more possible. Times when the ideas and insights from others miraculously combine with your own in a process of synthesis from which spring novelty, new ideas, and innovation. Times when you explore together what previously seemed opaque and distant. We can all remember being in Hot Spots, when working with other people was never more exciting and exhilarating and when you knew deep in your heart that what you were jointly achieving was important and purposeful. On such occasions, time seems to rush by as you and those around you are in the flow. Time even seems to stand still. We enjoy being part of a Hot Spot, and we are healthier, happier people as a result. When Hot Spots arise in and between companies, they provide energy for exploiting and applying knowledge that is already known and genuinely exploring what was previously unknown. As a consequence, Hot Spots are marvelous creators of value for organizations and wonderful, life-enhancing phenomena for each of us. Most businesses face the choice of either competing on the 'low road' of cost, or the 'high road' of innovation and value. Much the same goes for national economies and the UK is no exception. But how do businesses - and the people who manage them - go beyond the policy prescription and the easy exhortation to make that shift, to manage change and go well beyond business as usual? 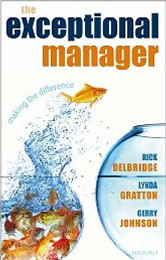 This ground-breaking book - the combined insight of some of the best minds in management, grouped together in the Advanced Institute of Management Research - does just that. It presents a clear and crisp analysis of the context and the challenge; and offers managers a range of ideas on how to develop the competences, practices and values that can make a difference. It is essential reading for policy makers, analysts, academics, and managers to be who want to make a different future. "People are our most important asset." "We are a knowledge-based company." 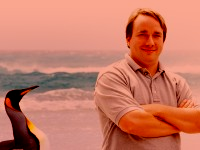 "All we have is our people." These are statements that we hear ever more frequently from more and more companies. Yet too many of the people who populate our companies, the reality of organizational life is that people do not feel they are treated as the most important assets and they do not feel their knowledge is understood or used. The only route to improved performance is by placing your human resource at the center of your strategic decision-making. 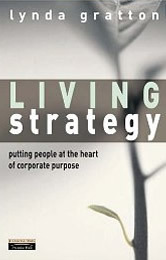 Living Strategy shows you why and how to design strategies that have meaning and purpose for people, without whose commitment they remain drawings on the board-room wall chart. It argues that a new management agenda is crucial and shares the three tenets of human organizational behavior. The six-step Living Strategy journey guides the reader through the implementation of a strategy that will not only grow your organization but also create a business of which you can be proud. For corporate strategy to live and work, people have to understand strategy, and strategy makers have to understand people. In this ground-breaking book, Lynda Gratton shares for the first time the "why" and "how" of putting people at the heart of corporate strategy. If companies want to increase their business performance, they need to recognize and develop the soul of the organization: they need a Living Strategy. You can't expect that what you've become a master in will keep you valuable throughout the whole of your career, and most people are now going to be working into their 70s. Being a generalist is very unwise. Your major competitor is Wikipedia or Google.